Would you prefer working for Promolix or Ecolene? Textbook: who do you agree with: Ken, Susan, Luis, or Yeon-Suk? How important are the ethics of the company you work for? 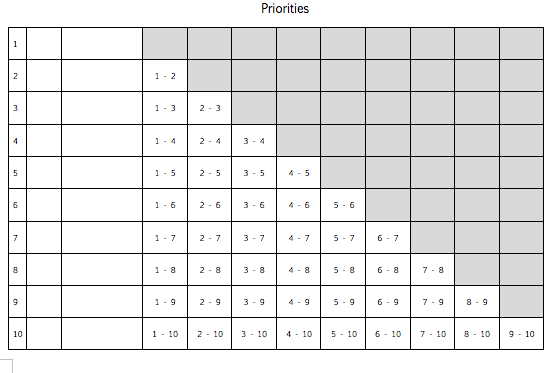 What are your job priorities? Look at p. 60 of your textbook and the chart below. Complete the chart, compare and discuss with your group. Think of three jobs that you would like to have. Think of three jobs that you would hate. Selected jobs: advantages and disadvantages. Imagine you are the person responsible for hiring new employees for your company. What kind of person would you want to hire? As a prospective employee, what are your strong points and weak points? Would you hire yourself? What can you do to make yourself a better choice for an employer? If money doesn’t buy happiness, why is it so important to us?